Spillers Pantomimes’ Aladdin in the Epsom Playhouse. 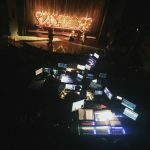 With no band for this pantomime, the design relies quite heavily on Qlab and the design around the system. Some design choices have also been influenced by the theatre and the space, technically. The Epsom Playhouse seats 450 audience members, due to the raked seating as well as the balconies, multiple speakers and processing were required. Left and Right were divided up into two sets. A left and right for the bottom half of the rake and a left and right for the top half. The L/R comprised of 4 x Martin Audio Black Line F12. The L/R for the top half was flown in, on trapezes. Due to the longer distance to the Audience, they were also run a little hotter. A Center speaker (Martin Audio W2) was installed on the first advance bar, in line with the front fills. This provided an even coverage amongst most of the seating. Front fills were able to reinforce vocals in the first few rows where the axis of the speaker didn’t quite hit the seats. 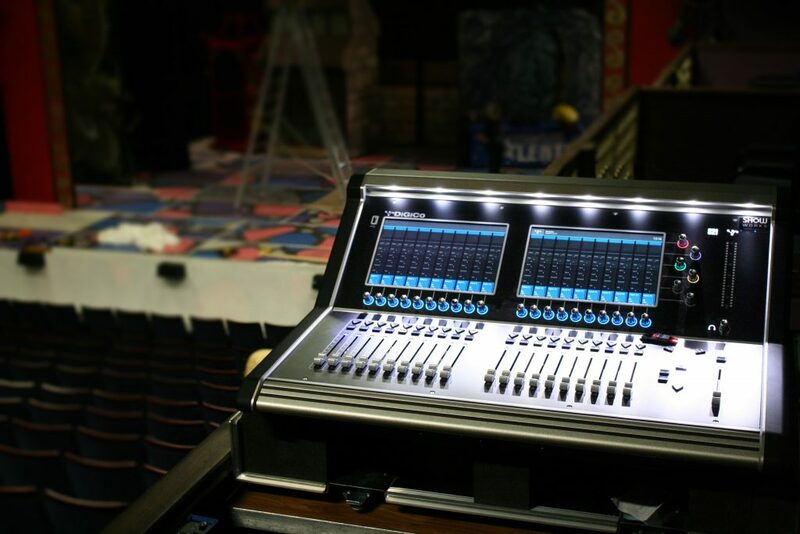 On the balconies closest to the proscenium arch, two t.Box Pro 104s were rigged so that there was appropriate reinforcement for the seats that were actually situated behind the main LR PA. The in-house subs are rigged above stage along the top edge of the proscenium arch. Because these loudspeakers are so far back. Everything is delayed back to the Subs, Including show relay! This means that the design can guarantee that any source used in the system will be sonically in time wherever in the auditorium. The DSM also has a happy time not hearing two sources of audio too. The design features the use of 4 Groups and 9 Auxes. The 11 wireless Sennheiser Microphones are routed through a ‘lead vocals’ group and then into the matrix. This group has 9ms delay on it to help with vocal imaging. 2 Groups are used for Qlab outputs, 1 for SFX and 1 for ‘Band’. The band group (of which all of the songs where routed through) had a notch taken out at 2k in the equaliser. These groups were also routed slightly different in the matrix so the band had a wider image then the SFX. Float mics were put into a group, so that I could get the most gain out of them before feedback. This was mainly taking them out of the front fills as these were situated less then 20cm away from them. Surrounds, Subs, Foldback, Relay, Reverbs were on Auxes. The Surrounds were delayed back to FOH LR so that when playing content through both the main PA and surrounds, sonically the music would be in time. 4 reverbs were used on the show. A short and long reverb for the song/dance numbers, and 2 reverbs for the cave scenes where Aladdin finds the lamp. 1 of these reverbs was just used for Aladdin alone, for the scene where he is hopping in and out of the cave, but at the same time Abanazer is talking too, outside the cave. 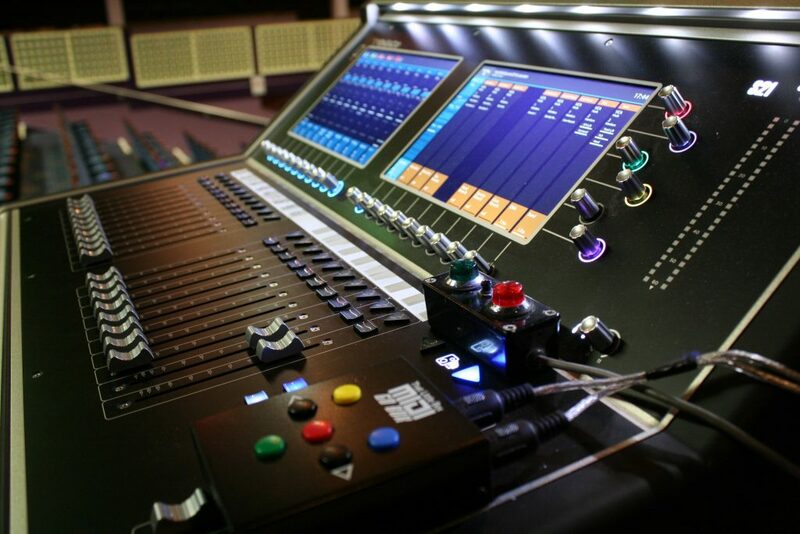 The DiGiCo S21 was installed with a DMI Dante card, allowing an extra 64 bi directional channels at 48khz. 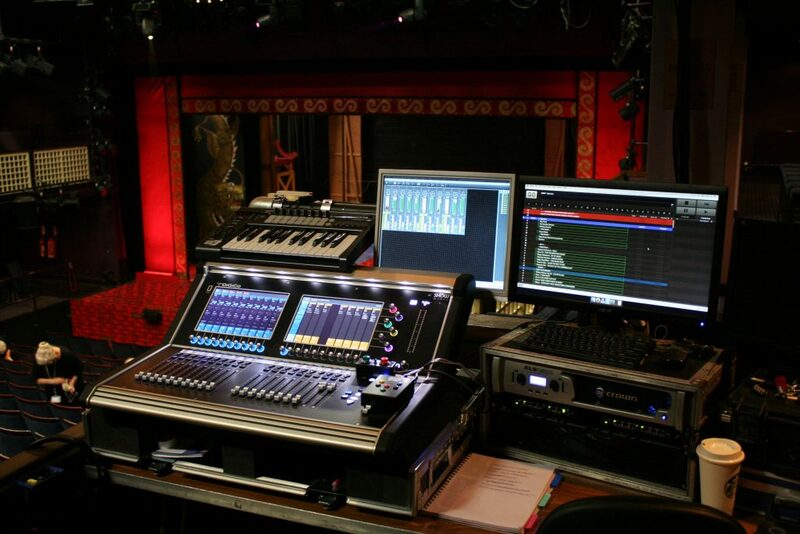 Originally the plan was to have Qlab on Dante Virtual Soundcard as well as the control for the Yamaha Tio1808-d and Wireless System Manager running over the Dante Network. During fit up, it became apparent that when a device was removed or connected to the Dante network, the Dante clock (externally syncing to the DiGiCos Crystal) would not exactly work and the latency between the Tio1608-D and the S21 would shoot up to 15ms. This was solved by making the crystal in the DMI Dante the clock for both the Dante Network and console. To keep things simple, Qlab was run over UB MADI. A separate control network was run for Wireless System Manager as well as file transfers between the design laptop and show computer. In addition to this house music could be started by using touch OSC running on the control network (via WiFi). This means less walking to FOH and waiting for usher briefings to finish! The Qlab File consists of 2100 Qlab cues with about 325 Go cues. 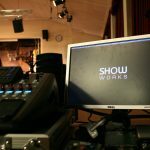 The Qlab programming is very flexible in a way that content could be added and taken away very quickly. Targets are used a lot of the time for easy reference. In quite a few of the tracks or sound effects, Reverb plugins running inside Qlab are used. This allows the easy changing reverb lengths, level and tails with out having to mix it down in Logic Pro. Using the standard matrix reverb plugin in Qlab, it meant sparkly long reverbs could be added to the end of songs to give them that extra feel. Whilst still only being a pre recorded track. With the MIDI Go Box having 6 buttons. This really only left 1 button free for Hotkeys (before the Novation Launchkey 25 arrived). For each scene the target for the button on the MIDI go box was changed to suit the action. For example, switching the hotkey sound from a ratchet sound to a whack sound. This was done by arming and disarming start cues with the MIDI triggering all of the start cues to the hotkeys. The Novation Launchkey 25 was very useful for hotkeys. Its ability to program the colours and hot keys made it very helpful with such a cue heavy show as well as a reliance on sound.